Cherenkov Radiation: Is There A Sonic Boom Equivalent For Light? When a military aircraft passes overhead at the speed of a few machs, you will inevitably hear a loud boom in the sky. That’s caused by a physical phenomenon called a sonic boom, which is obviously related to sound. Have you ever wondered if there is an analog to a sonic boom in the case of light? 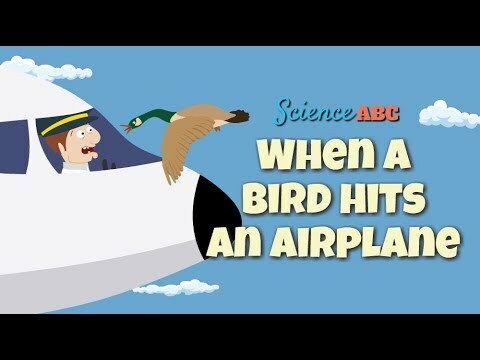 What’s the equivalent of a sonic boom in the case of light? Short answer: Unlike sound, light does not need a medium in which to travel (it can travel through a vacuum). Therefore, there is no analog to a sonic boom in the case of light. 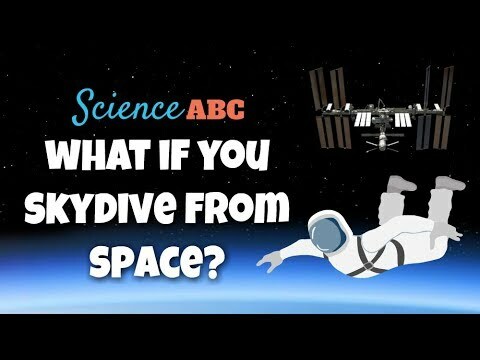 However, a sonic boom occurs when something travels faster than sound; similarly, something interesting occurs when something travels faster than light in a given medium. Sound waves produced from a stationary source spread out uniformly, like ripples in a lake. However, as the sound source starts moving, the waves in front of the object tend to bunch up, increasing their frequency. As a result, an observer standing ahead of an object will hear a higher pitched sound than someone standing behind the object. 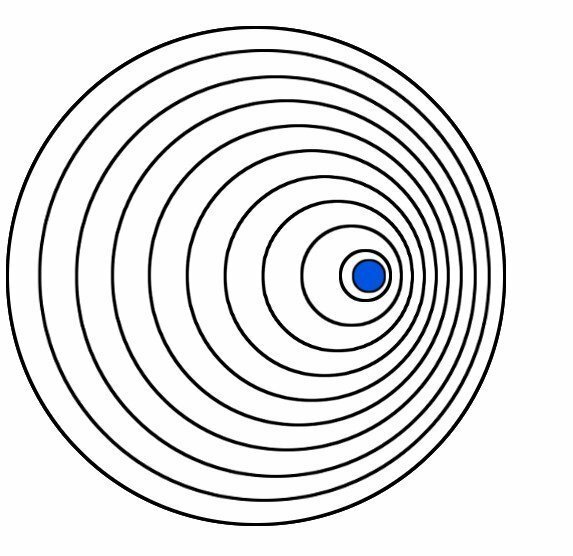 This increase in the apparent frequency of sound waves is called the Doppler effect. 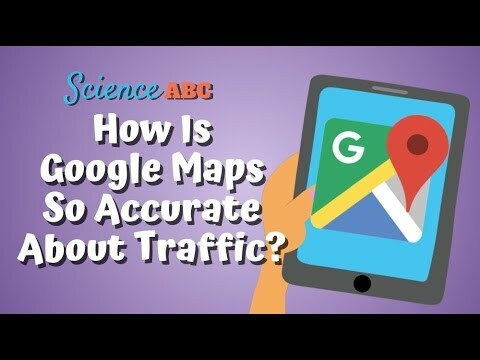 This same phenomenon is why an ambulance’s signal sounds different as it passes you by. When an object (sound source) moves at the speed of sound itself (the speed of sound in air is 767 mph), then the sound waves preceding the object will clump together at the same point, producing a very loud sound as that wall of sound waves hits the observer standing ahead (or below). That being said, things change dramatically once an object “breaks the sound barrier”, or in other words, travels faster than the speed of sound. 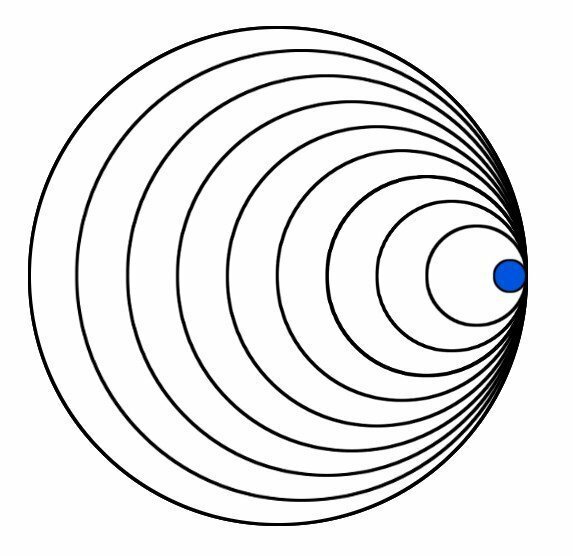 In this case, the sound waves produced by the object do not have enough time to spread out in front of it, because it is traveling faster than the sound waves that it creates. 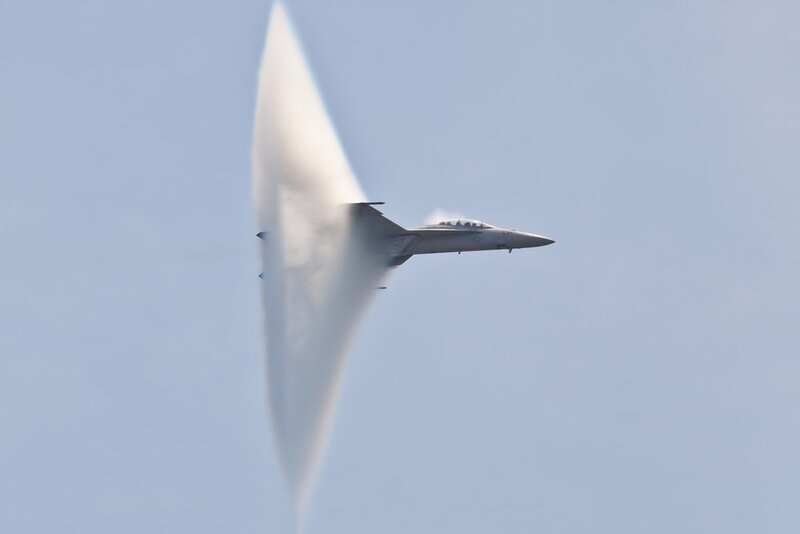 Such an object is said to be going at a “supersonic speed”, and creates an intense wavefront that causes the sonic boom, that characteristic loud, booming noise when a supersonic fighter jet passes overhead. Is there a sonic boom equivalent in the case of light? 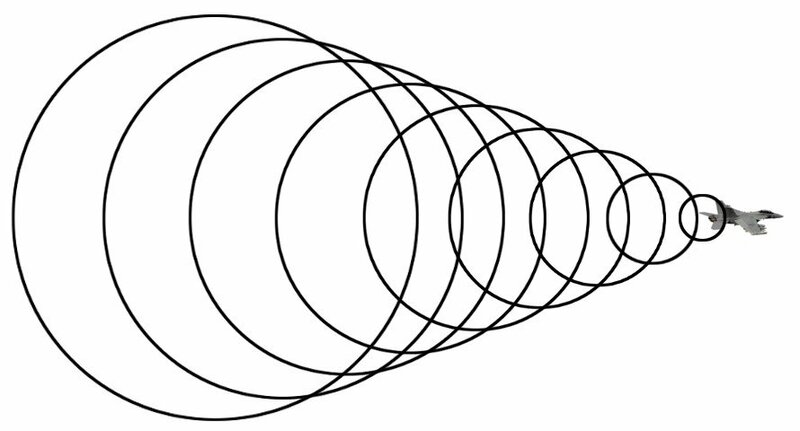 Sound is a mechanical wave, which means that it needs a medium to travel. 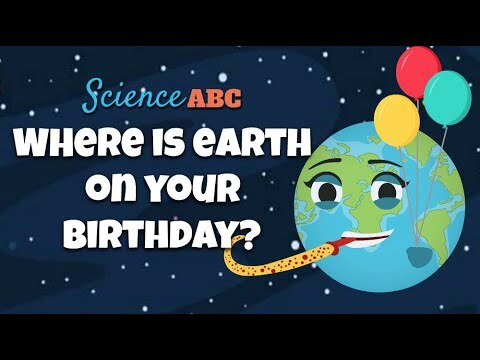 It travels pretty well through air, solid objects and even water, but it cannot travel through a vacuum. 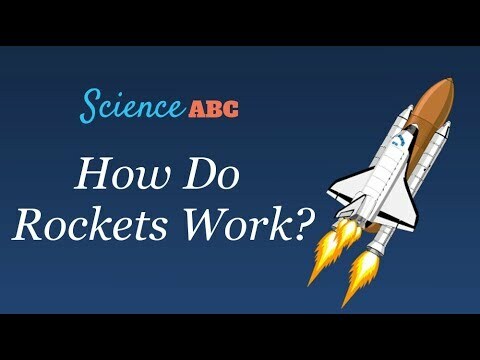 As we just saw, a sonic boom occurs when an object travels faster than the speed of sound and compresses the air that is immediately in front of it. Light, on the other hand, is an electromagnetic wave, which means that unlike sound, it doesn’t require a medium to travel. 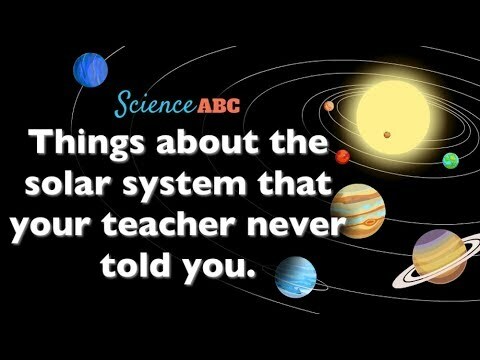 Also, nothing travels faster than the speed of light in air (or in a vacuum). So, practically speaking, there isn’t a sonic boom equivalent for light in air or a vacuum. 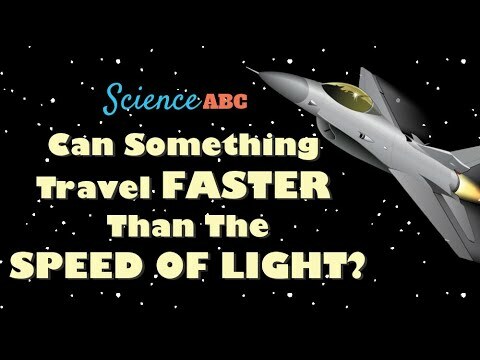 Can anything travel faster than light in a given medium? Although it’s true that nothing travels faster than light in a vacuum, light isn’t always traveling in a vacuum. Also, the speed of light is reduced when it travels through certain media, such as water, glass etc. 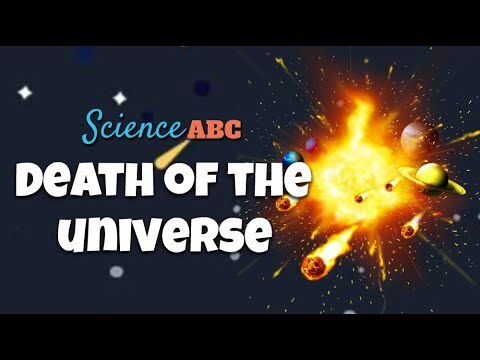 In those media, there can be particles that move faster than light in the particular medium (although never faster than the speed of light in a vacuum). When this happens, i.e., when a particle moves faster than the speed of light in a medium, a faint form of radiation is produced in the medium. This radiation is called Cherenkov radiation It is named after the Russian scientist, Pavel A. Cherenkov, who first explained and demonstrated it experimentally. 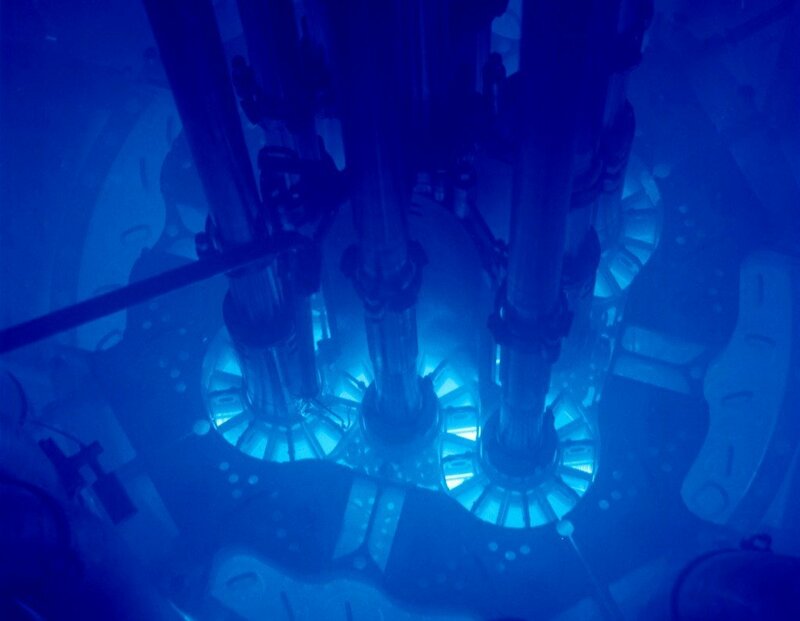 In the image given above, the faint glow in the water around the core of a nuclear reactor is produced courtesy of Cherenkov radiation. This happens because the beta particles (ultra-fast electrons) emitted by fission products excite the surrounding water molecules and raise their energy. In order to return to their normal energy levels, water particles emit photons of blue light. Since these fast-moving electrons travel faster than light in water, a cascade of photons, which are in phase with each other, will interact with each other (constructive interference) and impart a faint, but clearly visible bluish glow to the water surrounding the reactor.